1. ForeclosureFreeSearch.com-This is one of the top free foreclosure listings websites available, and it is completely free to use as long as desired. 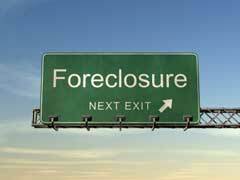 The site can search foreclosures in all 50 states, and includes the selling price and the estimated value of the home. 2. FreeForeclosureDatabase.com- Anyone interested in buying a house after foreclosure should check out this free website. There is never a charge no matter how often or how long the site is used to search for foreclosed homes. 3. WatchForeclosure.com- This is another website that includes listings for foreclosed homes for sale in all 50 states, and for varying prices. Visitors will find homes from less than twenty thousand dollars to those which cost more than two hundred thousand dollars. 4. HudHomeStore.com- This website offers free foreclosure listings, as well as dollar homes in the Dollar Homes program, through the US Government. 5. Foreclosure.com- Whether searching for foreclosures in Maryland or in one of the other forty nine states, Foreclosure.com helps many people find the home of their dreams. There is no cost to use the site, and it is not necessary to create an account or log in. 6. ForeclosureListings.com- This free website offers foreclosures from around the country, and there are many deals and homes priced well below the home value on the site. 7. ForeclosureData.com- This website includes thousands of free foreclosure listings in all 50 states, and the free trial offered allows searching foreclosure listings without any cost. 8. USAForeclosure.com- This site offers free pre foreclosure listings, as well as including homes that have already been foreclosed on. The site is easy to search, free, and contains numerous listings. 9. ForeclosureDataOnline.com- This site offers free foreclosure listings during a seven day free trial period, and after this point paying a subscription rate is required. Some states may not have any properties on this site, while others states may have hundreds or even more. 10. BankOwnedProperties.org- This site features bank foreclosure listings, and it is free to use for the first seven days with the free trial offered. There are many homes in almost every area of the country offered.